Established in 1991, the Hong Kong University of Science and Technology (HKUST) is a world-class international research university dedicated to cutting-edge education and research. The University was founded with a mission to advance learning and knowledge through teaching and research, particularly in science, technology, engineering, management and business studies complemented by humanities and social sciences, and to assist Hong Kong's socio-economic development. In just over 25 years, this young and high-achieving University has risen with miraculous speed to take its place among elite institutions, climbing to the peaks of international esteem and receiving numerous honors and accolades. HKUST was ranked No.41 globally among 1,000 universities and No.1 in the world’s top 250 young universities by Times Higher Education (THE) in 2019. Our Schools also fly high individually. The School of Engineering is ranked No.23 in the THE World University Rankings by Subject – Engineering and Technology (2019) and No.3 in Greater China. HKUST Business School's sought-after Kellogg-HKUST Executive MBA (EMBA) program has also topped the Financial Times EMBA global rankings nine times in the past 12 years. At HKUST, we are committed to achieving excellence in education and research and to ensuring we contribute to solving the great challenges of our time, including sustainability, energy, healthcare, and more. Our research culture nurtures and facilitates collaboration and innovation, which is why our campus is a magnet for some of the best and brightest minds. Researchers at the University are encouraged to take a multidisciplinary approach, to explore and collaborate across scientific and geographical frontiers, and to engage with decision-makers, industry, and the public in pursuit of improving people’s lives. The diverse discoveries made by our researchers across the Schools of Engineering, Science, Business and Management, and Humanities and Social Science have led to many ground-breaking additions to the global knowledge base as well as practical technologies and applications transferrable to the world. We frequently partner with leading industries, and support and facilitate entrepreneurship among our students and faculty. With our strong ties to global institutions and wide-ranging connections with Mainland China; our championing of interdisciplinary studies; a dedication to educating well-rounded, innovative and entrepreneurial students who flourish in today’s world; our role as a meeting point for the world’s top minds as crystallized in the HKUST Jockey Club Institute for Advanced Study; and our spectacular and inspirational coastal campus, HKUST is a key destination for students and faculty members seeking to achieve excellence within a supportive, multicultural and high-powered environment. Going forward, HKUST is continuing to nurture future innovators, forge new frontiers, lead the way locally, nationally and globally, and make a meaningful difference, under the guidance and directions defined in the HKUST five-year Strategic Plan 2020. 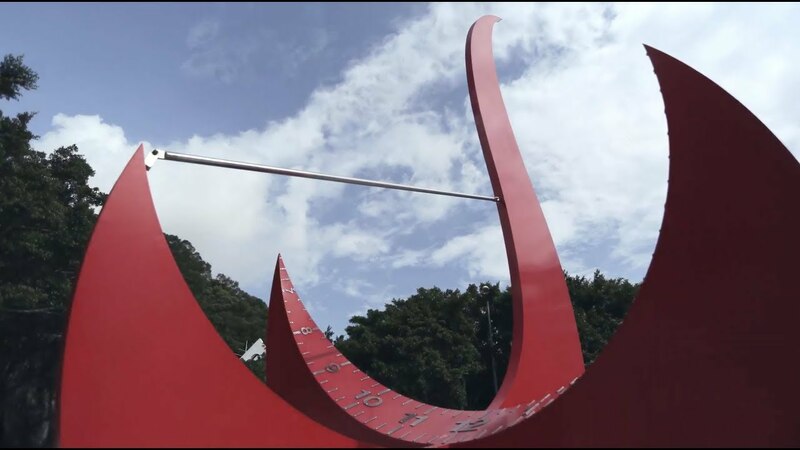 HKUST is dedicated to providing a diversified and international learning environment and is now home to over 15,000 undergraduate and postgraduate students spanning more than 80 countries over five continents. The University delivers high-quality individual and cross-disciplinary degree programs in science, engineering, business and management, the humanities and social sciences. Our stunning campus attracts an eclectic mix of bright minds, providing a stimulating intellectual environment. At the same time, our students have the opportunity to further expand their global horizons by joining the University’s extensive exchange program, which now includes over 250 partners worldwide. Early research opportunities with top academics at undergraduate level and leading research projects working alongside distinguished thinkers and global pioneers at postgraduate level give academic life at HKUST a dynamic and distinctive edge. The student experience goes far beyond studying at HKUST. Along with knowledge, many multifaceted experiences and friendships await our students, whether from Hong Kong, Mainland China or overseas. There are a wide variety of activities organized by the university and the student societies to broaden and deepen students’ horizon. Various sports and recreation facilities, including the richly resourced library, are also available for enriching the whole-person education of students. .
An array of arts and cultural programs fosters creativity and draws students from different backgrounds together to learn about different world perspectives. Our residential hall and diversified catering options, along with some spectacular sea views, provide good opportunities and ideal spaces for multicultural interaction and exchange. The University offers a wide range of scholarships to attract and recruit high-calibre students with outstanding academic backgrounds or specialised talents from Hong Kong and around the world. Most scholarships are nominated by our Schools, Departments and/or the University Scholarship Committee. A small number are allocated on a competitive basis. In the 2014/15 academic year, more than 2,300 student scholarships and awards were awarded through the University. HKUST accepts online applications from those with international qualifications, JUPAS, Mainland JEE, or post-secondary qualifications, and students interested in our short-term visiting programs. For more information and requirements, please check here. The University comprises 22 academic departments and divisions, numerous research centers, and the pioneering HKUST Jockey Club Institute for Advanced Study. Our 600-plus faculty team comprises substantiation-track, teaching and visiting academics. Our five strategic research areas comprise big data and artificial intelligence, robotics and automation, entrepreneurship and design, environment and sustainability, and public policy. Learn more about our research strategy here. HKUST aims to provide a dynamic and supportive working environment in which faculty and staff can continually develop intellectually and professionally. We undertake proactive faculty recruitment across all disciplines from around the world to maintain the vital input of high-calibre academics – the key pillar of our teaching and research excellence – at a time of intensifying competition for top minds among local and international institutions. Faculty members have been elected to membership of the US National Academy of Engineering, US National Academy of Arts and Sciences, European Academy of Arts and Sciences, Royal Society of Chemistry, among other eminent international academic institutions. HKUST has a total of 41 Fellows of the Institute of Electrical and Electronics Engineers (IEEE). Nationally, in a single year (2011), HKUST received five State Science and Technology Awards, which are among the most prestigious awards in science and technology conferred by China’s State Council. In addition to the six Chinese Academy of Sciences academicians at HKUST, nine faculty members are included in the National Science and Technology Programs Expert Database. Locally, the University has consistently achieved the highest success rate in the Hong Kong Research Grants Council’s annual competitive General Research Fund exercise which reaches 47% in 2018. HKUST strives to build the University’s reputation as an “employer of choice” and endeavors to create a workplace where faculty and staff feel motivated, respected, supported, empowered, and committed to success. Being able to share needs and aspirations is a key part of such a workplace and the HKUST Staff Association, which serves all faculty and staff members, provides an effective channel of communication between members and the University. Faculty recruitment is currently undertaken by our Departments/Divisions. We seek to recruit outstanding scholars, from around the world and at all levels, who share our vision and mission. HKUST is committed to increasing the diversity of its faculty and has a strengthened remuneration package and a range of family-friendly policies in place.